However these little cookies are called, it has been an amazing and inspiring year for me. I had the privilege to meet some very cool people in the food industry. I even got to help out in a professional kitchen for a few days. 2013 has treated me very well, and I look forward to new challenges ahead in 2014! I have not only interested in how macarons are made, but also how they vary in different countries. My in laws are from the UK and they have been telling me for some time about “Macaroons”. 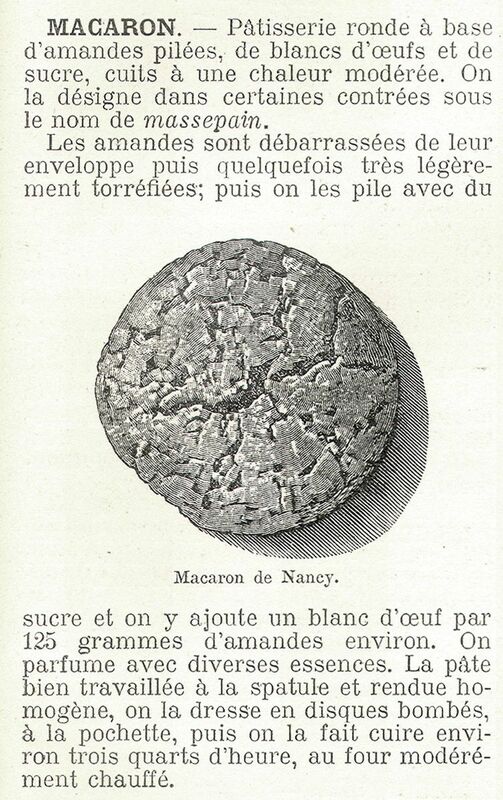 According to the information I found on the internet, “Macarons” were originally from Italy and they looked very much like a simple almond cookie (with plenty of cracks on them). And then it got to France and then somehow they become what we are familiar with the big names like Pierre Herme or Laduree. Anyhow, I thought it would be good to go back to basics and test a couple of recipes. 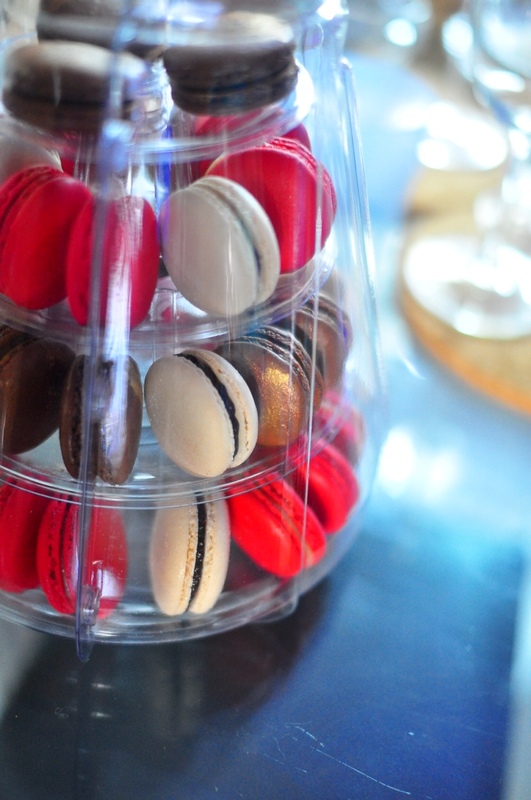 “Macaroons” are similar to “Macarons” in terms of ingredients (egg white, sugar, generally almond and sometimes coconut), but its made with different ratio of egg white to the dry ingredients. 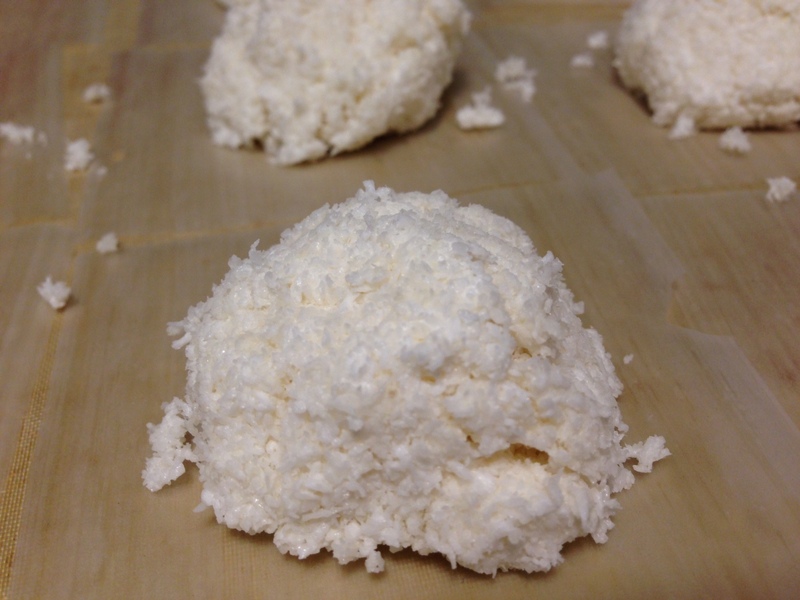 Traditionally, English Macaroons are baked on edible rice paper sheets (I still remember the fun of eating the rice paper wrapping the「大白兔」奶糖 when I was a kid) they are more of an almond base, and then gradually the coconut version got more known to the public. 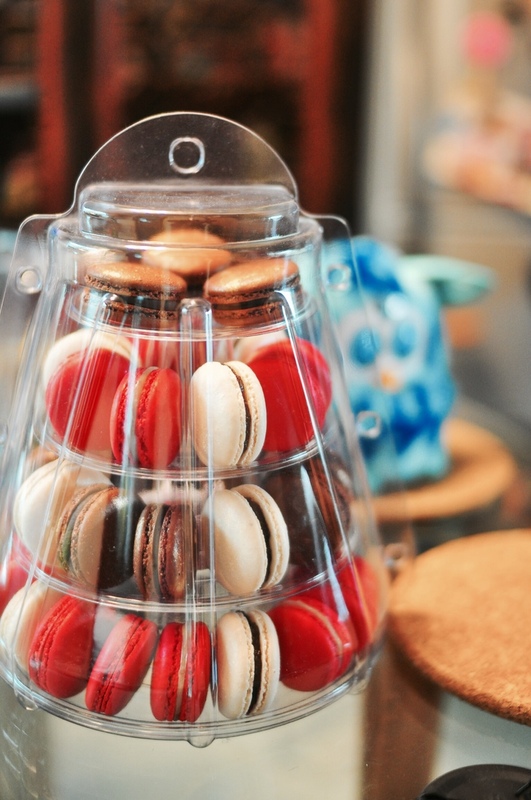 The almond one would be the more original one and it transformed into what we are called “Macarons” nowadays. 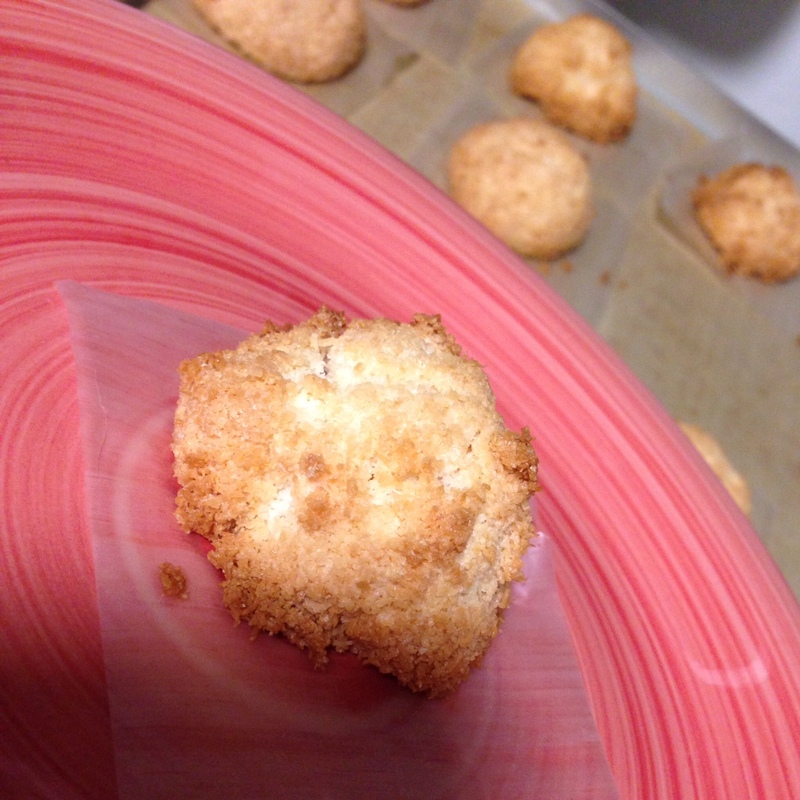 So here you go, my little test on the “Coconut Macaroons” and I couldn’t believe how easy they are to make. They are surprisingly light and tasty. I had 3 as soon as they were out from the oven! 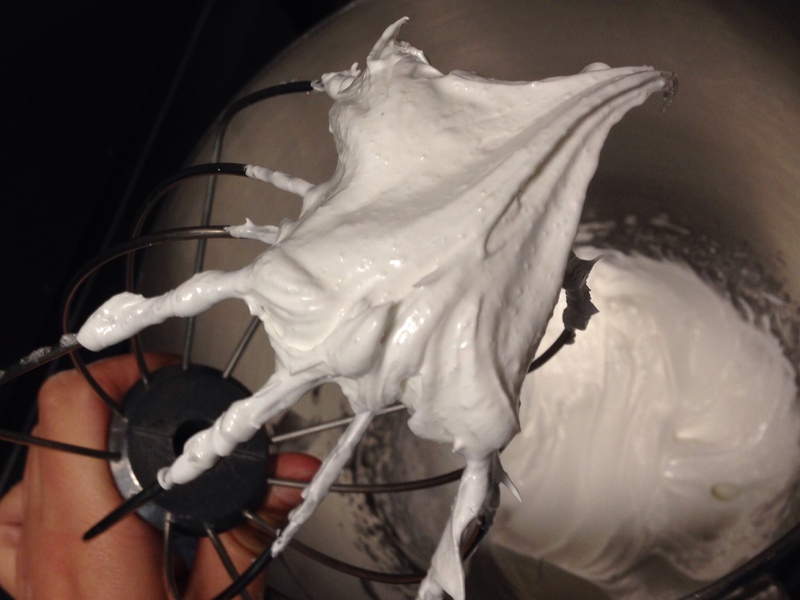 Beat the egg whites until foamy, then add a pinch of salt into egg white and continue to beat it. When soft peaks are formed. 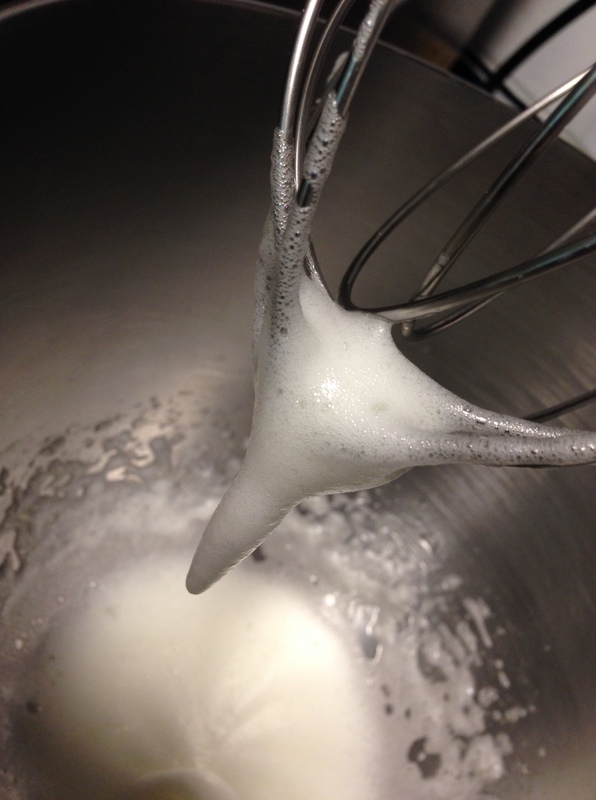 Add the sugar half at a time and whisk the egg white until the hard peaks are form and the meringue is shiny. 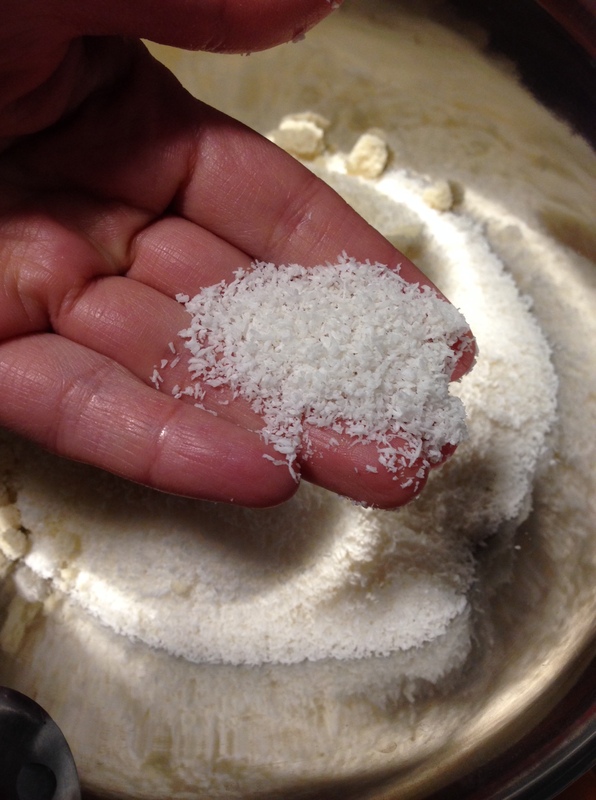 Fold in the almonds, salt, vanilla and coconut. The mixture will be sticky but should, all the same, hold its shape when clumped together. 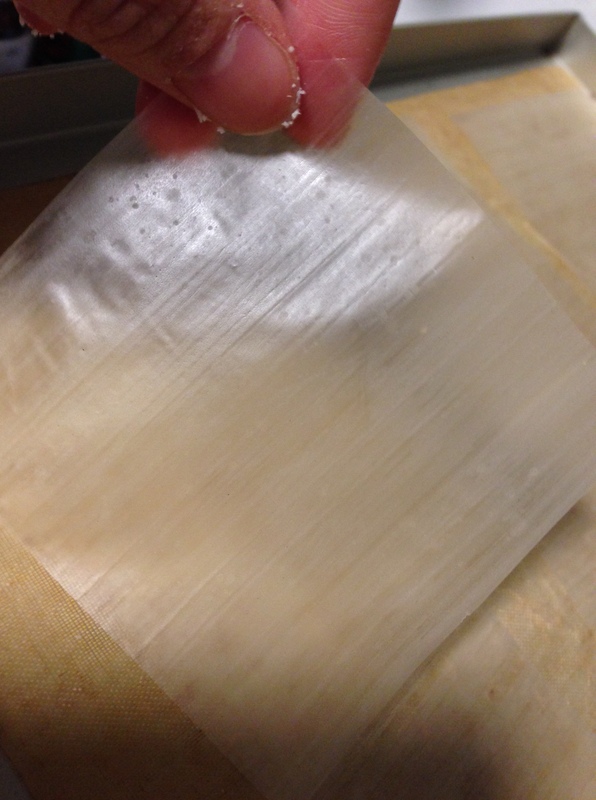 By hand or 2 spoons to form the macaroons into small domes onto the rice paper. Cook for 20 minutes or until they’re lightly brown. 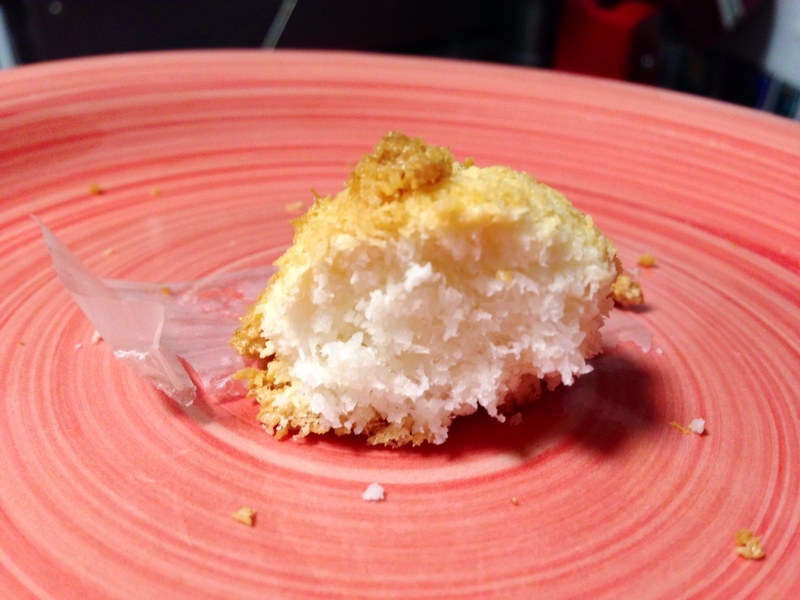 So here you go a half eaten chewy and light classic coconut macaroon! 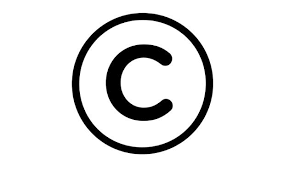 So well….what do you say? 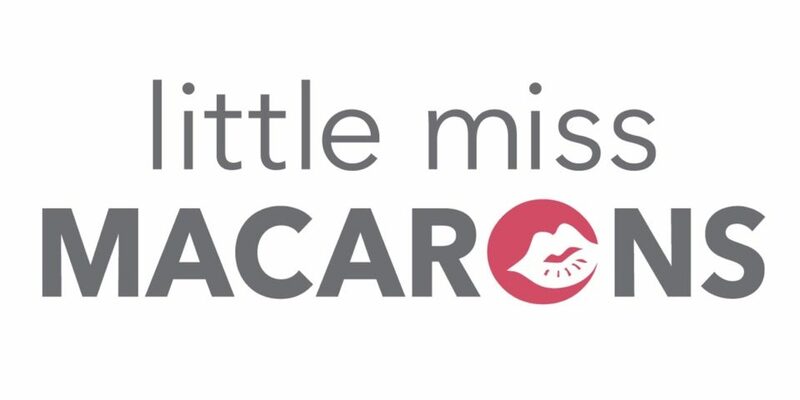 Macarons or Macaroons? I think my boy chose Furby Boom instead……..